Your baby has a whole lifetime to see and learn. But did you know your baby also has to learn to see? As a parent, there are many things that you can do to help your baby’s vision develop. First, proper prenatal care and nutrition can help your baby’s eyes develop even before birth. 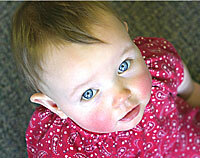 At birth, your baby’s eyes should be examined for signs of congenital eye problems. These are rare, but early diagnosis and treatment are important to your child’s development. Did you know your baby also has to learn to see? At about age 6 months, you should take your baby to your doctor of optometry for his or her first thorough eye examination. 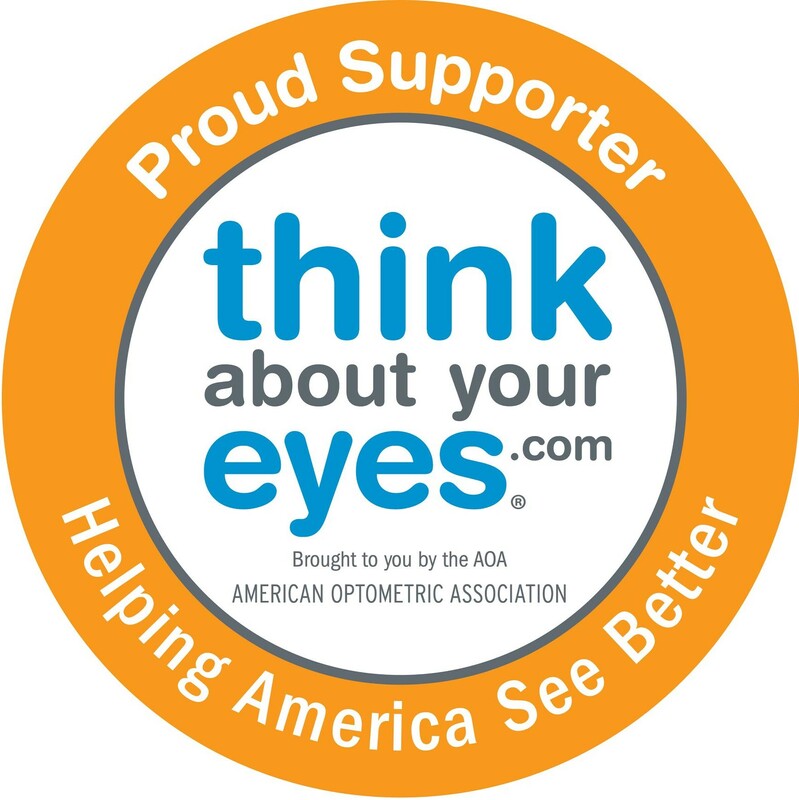 Things that the optometrist will test for include excessive or unequal amounts of nearsightedness, farsightedness, or astigmatism and eye movement ability as well as eye health problems. These problems are not common, but it is important to identify children who have them at this stage. Vision development and eye health problems can be more easily corrected if treatment is begun early. Unless you notice a need, or your doctor of optometry advises you otherwise, your child’s next examination should be around age 3, and then again before he or she enters school. Between birth and age 3, when many of your baby’s vision skills will develop, there are ways that you can help. During the first 4 months of life, your baby should begin to follow moving objects with the eyes and reach for things, first by chance and later more accurately, as hand-eye coordination and depth perception begin to develop. Between 4 and 8 months, your baby should begin to turn from side to side and use his or her arms and legs. Eye movement and eye/body coordination skills should develop further and both eyes should focus equally. You should enable your baby to explore different shapes and textures with his or her fingers; give your baby the freedom to crawl and explore; hang objects across the crib; and play “patty cake”and “peek-a-boo” with your baby. From 8 to 12 months, your baby should be mobile now, crawling and pulling himself or herself up. He or she will begin to use both eyes together and judge distances and grasp and throw objects with greater precision. To support development don’t encourage early walking – crawling is important in developing eye-hand-foot-body coordination; give your baby stacking and take-apart toys; and provide objects your baby can touch, hold and see at the same time. From 1 to 2 years, your child’s eye-hand coordination and depth perception will continue to develop and he or she will begin to understand abstract terms. Things you can do are encourage walking; provide building blocks, simple puzzles and balls; and provide opportunities to climb and explore indoors and out.